Android phones have good Internal memory but due to system files and other third-party apps, storage is always running out of low space. I have Sony Xperia C3 Dual which comes with 8GB of Internal memory but as you can see in below picture, only 300 MB space is available. 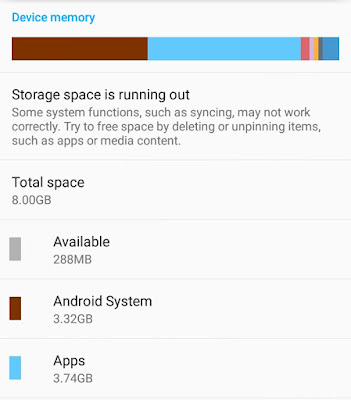 Android system and apps alone are taking more than 7GB of space. You might be facing the same problem. Right? In fact, this is the reason why people buy SD card as an external storage device. Unlike pen drives, they are very small in size physically and can save GBs of data. As we can't delete system built-in files, tools and widgets, so we have to focus on third-party apps only which you've installed manually in order to free up some space in your Android phone. By default, all the apps will be installed in your phone's Internal memory and they will use it to save their cache and data in it. Fortunately, Android has an option which let you move installed apps to the SD card. Here's everything you need to know about this feature. 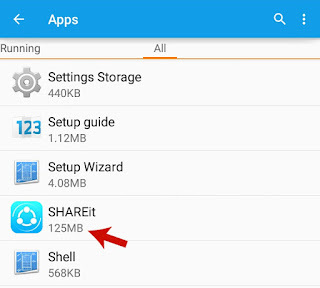 Why you should move apps to the SD card? 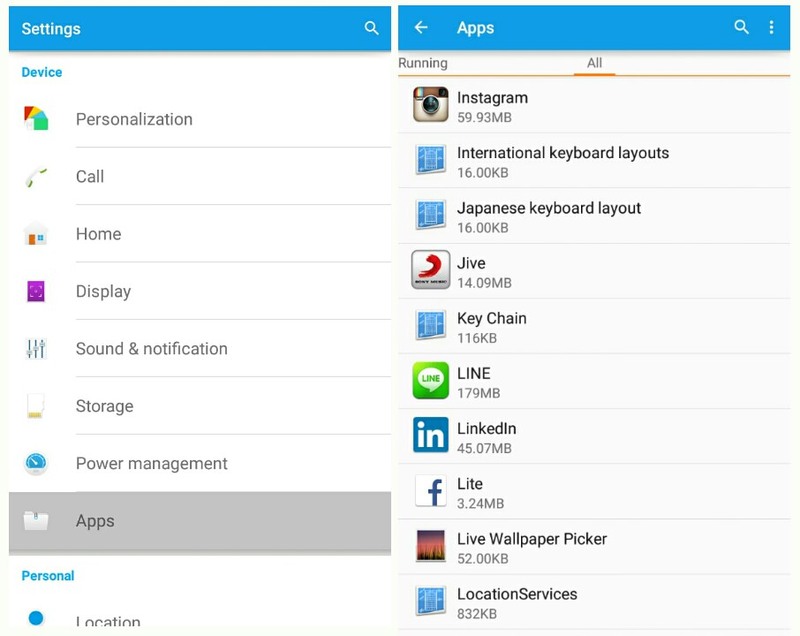 Free up space: Apps save all their cache and data (such as media files, settings, database etc.,) in Internal memory. Facebook, Instagram, Snapchat, especially games and news apps can save up to 100+ MB of cached data, which is of no use. By moving them to the SD card, you can free up little or more space in your phone's Internal memory, of course. Improve device's performance: Due to low space, your phone may be working very slow. After a long use, apps, widgets and system may crashes automatically. You can speed up the device's performance by freeing up the Internal and RAM memory space. Fix "Insufficient Storage Available" error: Many times while installing the apps from Google Play Store, you'll get an error message as "Insufficient Storage Available". 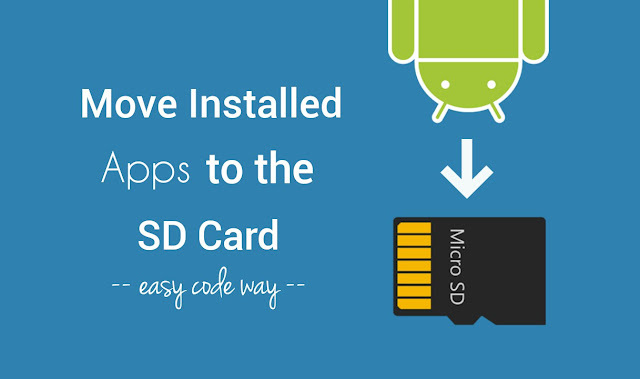 This simple problem can be solved by moving your installed apps to the SD card. Which apps should you move? You might have hundreds of apps installed in your phone. Now the question is, which apps should you move? Of course, there is no need to move all them. In order to free up the maximum space from your Internal memory, you've to choose selected apps only, generally those which are occupying huge space. To find out this, first go to "Settings" and then click "Apps" option. Here move to the "All" tab. Now below each app, you'll find the total size of its data and cache. This will give you a rough idea. As of a general rule, select all those applications which have more than 100 MB of size but make sure to exclude all system pre-installed and in-built apps (such as Android System, System UI, Google Search, Google Play services, Google Keyboard etc.,). In other words, leave all the apps you're not a familiar with. First of all, go to "Settings" and click "Apps" option. Now scroll left to the "All" tab. Here find the app name and open it. Finally tap the "Move to SD card" button and that's it. After this, app will move all its data to the new storage location and future files (such as media) will be saved there automatically. You can also move it back to the phone memory any time. Unfortunately, there is no way to move all installed apps simultaneously. You've to repeat the same process again manually. There may be a couple of third-party tools on Google Play Store. Another important thing is that, not all installed apps can be moved this way. Sometimes, you may find the "Move to SD card" button not working or unavailable. Facebook and WhatsApp are good examples. Although, you can force move them with root access but that is beyond the scope of this tutorial. Also, our main aim is to free up some space from phone's Internal memory and that can be done easily without moving such apps. What happens when you'll move the app? As already mentioned, moving the app simply means that it will move all its data and cache to the SD card. Also, the future downloaded files will be saved at the new storage location. There is no change as such. It will work normal as it was working earlier. Note that, when you'll unplug or unmount the SD card, app will stop working and it will be unavailable until you plug-in or mount the SD card again. There is no loss of data at all. So this is how you can move Android apps to the SD card and free up some space in your phone's Internal memory. Finally if you've any doubts, feel free to ask me in the below comment box. Stay tuned for more interesting tutorials. ?